Step away from that desk! Recent studies show that “sitting time is emerging as a strong candidate for being a cancer risk factor in its own right. This phenomenon is not dependent on body weight or how much exercise people do. So, make the commitment to get up from your desk at least four times a day. Read on for creative ways to stay active at work. This graphic from the American Cancer Society shows how different amounts of activity influence certain well-known cancer indicators. 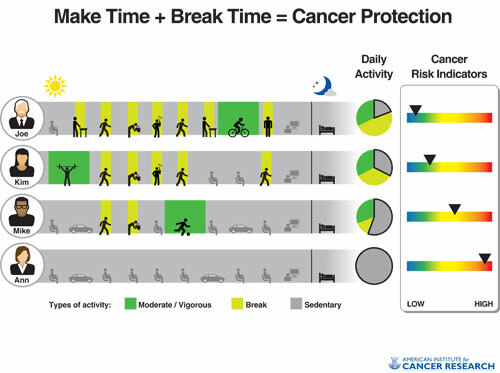 Many factors influence cancer risk, movement is key to a healthy lifestyle. Set the timer on your computer to remind you every 60 minutes that it’s time to step away from your desk and take a short walk down the hall. “Walk with me.” Got a quick thing to discuss with a co-worker? Instead of sending an email, ask him or her to join you for a walk to hash it out on the go. The pedeconference: It’s not just for TV characters anymore. Grab some “Walking Meeting in Progress” buttons from the Benefits & GUWellness office and make it happen! During all phone calls and phone meetings, stand up and walk around (this is one of my favorite). Let’s get ready for the GUWellness 5k! Ok, maybe you’re not a runner… Maybe you’re not even a jogger…Well get moving and take the challenge to get active with me. Contact me to learn more at vnd2@georgetown.edu! Your passion for a healthier lifestyle brought you here – let’s keep the conversation going! Questions? Thoughts? Shoot me a note or leave a comment. Remember to Make Everyday Great! 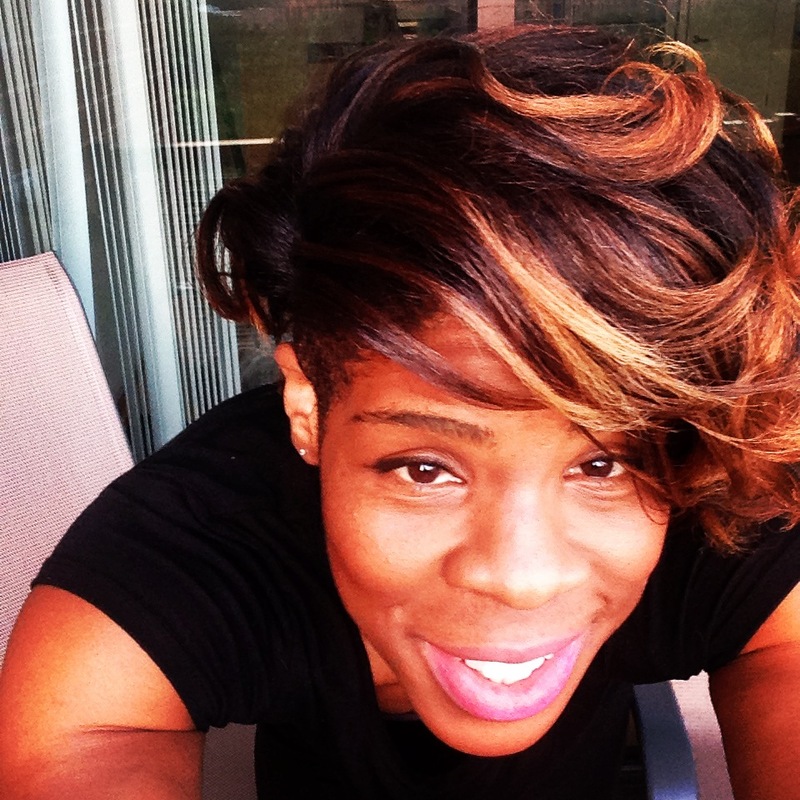 Venus Davis is a fitness fiend and Assistant to the Senior Vice President for Research at Georgetown. She’ll be sharing her tips for a healthy lifestyle here on the blog, and invites you to join her for a run in the real world. Contact her at vnd2@georgtown.edu to meet up for a sprint.